Last week I saw this great post from Brett Terpstra, The best cheap stuff in my kitchen. In the course of teaching himself how to cook, Brett accumulated many tools, including “…inexpensive tools…that I’ve picked up either out of need or curiosity, and am repeatedly amazed at both how durable they are for the price, and how much they’ve helped make my kitchen life better.” The resulting list is a good one, and it has prompted me to look at the inexpensive and reliable kitchen tools that I love. I’ve got a small kitchen so tools must earn their way in. As a result I’m very picky, and many would-be additions that don’t “pass the audition,” get the boot. One winner is an inexpensive cooling rack, much like this one from Wilton. I use it to cool baked goods, but also as a landing spot for almost anything that’s hot. When I’m not cooking, it doubles as a drying rack for glasses next to the sink. Next, this great little colander from Oggi is a go-to item. The feet on the bottom make it nice and sturdy, the long handle keeps my hands away from hot water and steam and the hook on the end lets me hang it when not in use and rest over the edge of a sink when I need it to be out of the way. Finally, its small size lets me put it in a sauce pot for steaming veggies. It’s super versatile and I use it several times per week. A good set of ramekins, like these from HIC are great multitaskers. They can hold chopped and measured ingredients when you’re working on your mise en place. They’re great for serving individual sauces or dips, holding spent tea bags and of course, you can bake in them. I also have a microplane that I love dearly. It’s super for grating hard cheese and zesting citrus. I’ve even used it to grind nutmeg on occasion. It cleans up quickly and stores away easily. I received the AccuSharp 001 Knife Sharpener as a Christmas gift, as I’m often complaining about dull knives. What I like like about the AccuSharp is that you don’t have to worry about holding the knife properly or maintaining the right angle. Just a few broad swipes and you’ve got a nice, sharp knife. I’ll wrap this up the same way Brett ended his article, with a question to the readers. What else should I get? 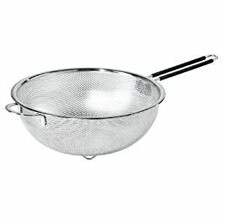 Any must-have kitchen tools I need to know about? Sound off. Numerous websites have linked to the following video where designer Nils Frederking showcases his incredible, folding furniture. The design is wonderfully sleek, functional, and space-saving. Thanks for the RedPlum link! Have you all done an article collecting all of the opt-out resources? Sherry, thank you for the good question! There are some excellent websites that already collect this information, so I don’t want to duplicate their work. Two of the best sites I’ve seen come from the Privacy Rights Clearinghouse and the Bay Area Recycling Outreach Coalition. That second one doesn’t have any information that’s specific to the San Francisco Bay Area — it would all apply throughout the U.S. Both of these sites provide both opt-out resources and suggestions about ways to avoid getting on mailing lists. If you’re specifically concerned about junk mail from charities, you can refer back to my prior post on this subject. There are also services you can use that will handle opt-out requests for you. One of these is Catalog Choice, a free non-profit service (which accepts donations). Despite the name, it handles more than just catalogs. It can remove you from quite a few political and charitable mailings, too, especially from larger organizations. And the PaperKarma app is one more option. The app has new owners and was just relaunched this month as a subscription service. You take a photo of your junk mail and press send, and PaperKarma takes it from there. You may have heard the suggestion, supposedly from the late Andy Rooney, to mail back unwanted junk mail in the postage paid envelopes some mailers provide. But as Snopes noted, there’s no proof this advice ever came from Andy Rooney, and it’s not a great way to tackle the junk mail problem, either. Returning junk mail to direct mailers on their dime (by stuffing it back into their postage-paid return envelopes) may cost them some money and provide you with a bit of personal satisfaction, but it won’t cut down on the amount of junk mail you receive. In fact, it may actually increase your junk mail load, since the primary metric used to gauge the effectiveness of many direct mail campaigns is the number of responses received (even if those responses are negative). All of the resources I’ve mentioned so far are focused on the U.S., but other countries also have services for helping their residents minimize junk mail. For example, in Canada, the Canadian Marketing Association has a Do Not Mail Service that sounds similar to what’s available through the Direct Mail Association in the United States. Canada Post has more suggestions on its website, too. More examples: The Hague published junk mail minimization advice for the Netherlands, and Clean Up Australia has advice for that country. Residents in the U.K. can visit the Royal Mail website for information on how to opt-out of junk mail delivery. Reader Jaz sent us a link to the Nuni Tortilla Toaster. With this unit you can toast six tortillas in less than a minute. 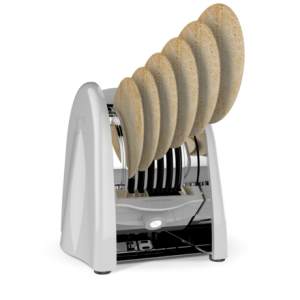 It has five different toaster settings and an automatic release feature (similar to the auto pop-up on bread toasters) so that the tortillas slide out when they are toasted. Just watch the video. By all accounts this is a unitasker. It does only one thing – toasts tortillas. It is large and would take up a significant amount of counter or cupboard space. If I had lived my whole life in Canada eating typical Canadian foods, I would have wondered who would buy the Nuni Tortilla Toaster. However, I have had the wonderful opportunity of living in different places and experiencing different cultures. Now, living in Texas, I’ve realized that owning a device that would allow me to rapidly toast six tortillas at a time might be the only way one could keep up with hungry teenagers. Thanks Jaz for bringing this unitasker to our attention. 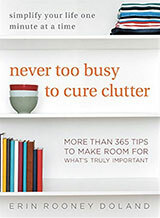 What causes clutter in your life? One of the important aspects of getting clutter under control in your life is to discover why your home and life are cluttered. Spending as few as 15 minutes in quiet reflection often can help you to discover the root of your problem. Once you identify the cause(s) of clutter in your life, you can work to keep clutter from reappearing in your home. The causation of your clutter might be able to be solved by simply changing your attitude (like with laziness) or hiring a professional organizer to get you started. Solving your time crunch problem might mean something more drastic like changing your job. In some cases, you might even consider consulting a counselor or life coach to help solve the root of your problem. In all cases, though, identifying the cause(s) of your clutter and working to solve it can help to keep your life clutter free in the future. A reader recently wrote to ask, what should I do with unwanted handyman tools? It’s a good question. Many people have found themselves with a pile of tools that aren’t going to get used. Perhaps a loved one passed on, a work situation changed or a hobby goes by the wayside. In any case, it’s a shame to let something as useful as handyman tools become clutter. Here are several suggestions for unwanted or unneeded handyman tools. The best advice I can give is to get them into working hands. Perhaps there’s a friend or family member who’d love to have some, if not all, of your cache. You can contact your local Scouts groups or tech school. Maybe a public school in your area has a wood or metal shop that has a need. If not, consider some of these more formal options. Vietnam Veterans Association. Pickup Please is an organization that gives charitable donations to all veterans, not just those who served in Vietnam. The process is simple: contact the organization (link above), pack your donations in clearly-labeled boxes and wait for pick-up. Habitat for Humanity. This great group builds homes for those in need. The build crews are all volunteers, and of course they would welcome a donation of tools in good working order. You can find out more here. Goodwill. These folks have been doing great work for decades. They have some specific donation guidelines, which you can find here. Tools for Self-Reliance – UK. Here’s one for our readers in the UK. Started in 1979, Tools for Self-Reliance works with local organizations in Ghana, Malawi, Tanzania, Uganda, Sierra Leone, and Zambia. Hundreds of volunteers deliver tools to people in these areas so that they can learn a skills, get ahead, and become self-reliant. “Teach a man to fish…” and all that. It’s a great organization. Toolbox Initiative. Of course, “tools” doesn’t simply refer to what’s in the red metal toolbox in the basement. The Toolbox Initiative collects donations of tools used in metalworking and jewelry making. Much like Tools for Self-Reliance, the Toolbox Initiative gets tools into the hands of workers and allows them to become more self-reliant and successful. KMS Tools For the World. Lastly, here’s one for our friends in western Canada. KMS Tools For The World delivers tools to those who need them to thrive. If a tool were to briefly gain the ability to speak (stay with me here), it would say, “I want to work!” Fulfill every hammer’s dream and put it in the hand of an eager craftsperson, carpenter, or worker. You’ll feel good, the worker will be grateful and the tool’s very soul will sing. 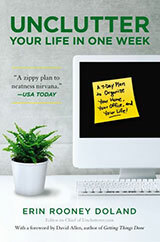 Is it possible to plan for disorganization? At work we are busy organizing the new year, which for us starts in September. Years ago, we waited until after holidays in August to start planning and organizing, but that left us with only three weeks before we had to launch. Then slowly, we’ve been convincing clients to make their reservations earlier, first in July, then June and now we start in May. And it’s been incredibly successful! Before, clients saw as something they would fit into their schedule once everything else was organized. Now, we are a priority and if they haven’t booked by June, they reply with apologies. By extending the amount of time dedicated to the task of bookings, we removed the chaos and created calm and orderliness. There are some things, however, that are impossible to organize early. For example, exact staff schedules. Each year until about a week before the launch mid-September, I cannot confirm anything for staff. They know how many hours they are going to have and we know when they cannot work. As much as I have tried over the past few years to pin staff schedules down in July, I always get back from holidays at the end of August and I have to make at least three changes per staff member. These changes invariably cause a lot of friction, whereas staff are quite willing to accept not knowing until the last minute, so I put up with the uncertainty. Another thing we cannot organize too far in advance is product ordering. We don’t like to have extra stock because in the end it’s throwing money away on our part, but until we know exactly how many clients we have for the annual launch, we cannot place the orders. This causes chaos and some clients don’t have the materials they need right at the start, but knowing that this chaos will happen, we are able to plan with it in mind and have backup plans ready. Plus, we have discovered that if everything else under our control is well organized and executed, these inevitable chaotic moments don’t have a domino effect. The Huffington Post has a great article explaining the concept of organized chaos and it’s well worth the read. The hotel reservation site Booking.com has turned organized chaos into a positive force that actually propels the business forward. Not surprisingly, one of the business experts of the millennium, Jim Collins, has a whole book, Great by Choice, devoted to thriving despite (or because of?) chaos. Can you think of examples of organized chaos in your life? How do you keep it from devolving into chaos pure and simple? Or how do you turn it to your advantage? I have a question/problem I think you folks might be able to help with. I have been trying for the past few months to trim down – unclutter my home – since I had a roommate move in a few months back. So, far, I have been proud of how I am doing. However, I am still struggling with a few problems spots in the house — linens and books. You recently addressed dealing with books on your site. Would you consider dealing with the linen issue? Right now I have a TON of bed sheets and various quilts and blankets. I know I need to get rid of some of it. Thanks. Linens, which for the purposes of this post I will define as sheets, blankets, towels, and washcloths, are often concealed clutter in homes because they have a designated space (like a linen closet) where they can hide. If you’re like me, though, you have a habit of putting linens into the closet, but never taking worn-out ones out of circulation. The following tips can help you to know which linens are good and which linens are clutter in your home. Sheets: I live in a four-season climate, so I support having two sets of warm-weather sheets (cotton) and two sets of cool-weather sheets (flannel or jersey) for your bed. This means one set on the bed, one waiting to be switched to on laundry day, and two in a sealed storage container for the alternate season. allow you to be comfortable so that you can sleep soundly. Blankets: In addition to the comforter on your bed, I suggest that you should have at least three additional blankets — one for curling up with on the couch, one for overnight guests, and a “work” blanket in the trunk of your car for spontaneous picnics and for warmth if you have car trouble in the winter. You may find that you need more blankets for your home, especially if you have children, but three blankets are all we use. Quilts and bedspreads: If you have a quilt that is a family heirloom or was handmade by a close friend, it will likely be difficult to get rid of it for emotional reasons. Therefore, I believe quilts are made to be loved and either used or displayed, not stored. Read more about vintage quilts and bedspreads here. Bathroom towels and washcloths: Like sheets, I suggest having two sets of bathroom linens per person. One in use, and one to be switched to on laundry day. If you have a guest bathroom, usually one set of guest towels is appropriate. Old and unnecessary towels and washcloths should be moved to the garage to be used as rags or donated to the local animal shelter. Kitchen towels and washcloths: The rules here are similar to bath towels, except you don’t need two kitchen towels per person in your house. Most kitchens can get by on three towels and three to six dishcloths. My eye is always drawn to anything I see in newspapers, magazines, and such that has anything to do with organizing, even tangentially. I just sometimes wish that the messages were a bit more nuanced. The following are a few examples. Each week RedPlum advertising mailers arrive at my home, and there’s always an “organize your home” ad with photos of bedroom closet systems and garage cabinets. And while these kinds of products can certainly be useful, buying items like this would be the final step in getting organized, after any uncluttering and sorting. It’s hard to get a storage system configured properly if you don’t know what you’re going to store! And, of course, many people can be organized just fine without buying something like a closet system. Note for those who are certain to ask: Yes, I finally went to the RedPlum website to opt out of the company’s mailings. Ayn-Monique Klahre wrote on The Kitchn website that she was advised that her “dream spice cabinet” with lovely identical spice containers was a bad way to organize those spices. I certainly agree that buying such spice containers and transferring all your spices from the bottles they came in to those new containers can be a waste of time and money, and it’s probably a poor idea for most people. But if someone has the time and money to spend and gets joy out of looking at the spices in their nice containers, I see nothing wrong with that. The article goes on to say that organizing spices alphabetically is also a bad idea — which is a surprise to me, since that’s what I’ve been doing for 30 years. Organizing by use (cooking vs. baking) or by cuisine (Mexican, Italian, etc.) can also work for some people, but I’m fine with alphabetic. While there are often best practices that work for most people, that doesn’t mean you shouldn’t organize things in a totally different way that works for the way you think and live. I imagine the experts consulted for this article would agree, and that some qualifying comments were lost along the way. Bonnie McCarthy wrote an article titled 12 tips to styling your bookcases like a pro, which ran in the Los Angeles Times. I had mixed reactions to this one. While McCarthy writes about “creating bookshelf displays that are both functional and decorative” in the introduction, the specific tips are heavy on the decorative portion. If your goal is to have pretty bookcases with art and accessories along with the books, her advice seems quite good. But I was sad to see no real acknowledgement that books on bookcases are (in most cases) primarily there to be read and enjoyed, and making them easy to find and replace should be a critical factor to consider when doing the styling. One of her suggestions, removing the dust jackets from the books and arranging them by color, would only work if you’re someone who visualizes books by color — and someone who doesn’t find dust jackets interesting and informative. There was also one interesting tip that did indeed focus on both the practical and the decorative: “Curate a small collection and intersperse the pieces among the books on the shelves. Bonus points for displaying with books on the topic of the collection, i.e. sea shells and jars of sand with books about surfing and the Pacific.” That’s a creative organizing idea that would make those books easy to find while also creating an eye-catching look. Your shower should be a serene place where you can escape the outside world for a short time each day. You shouldn’t be distracted by a multitude of containers all over the walls and/or floor of your shower. The Better Living Dispenser Classic IV eliminates the need for the bottles that get in your way. Let’s face it, those bottles are designed to fall over easily and scare the heck out of your loved ones in the next room. The bottles I recently knocked over are nearly empty, so they need to be perfectly balanced on their heads to get the last of the liquid out. (We are frugal and the need to use every last drop of shampoo is a must.) 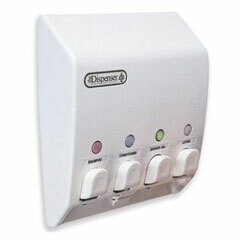 This dispenser eliminates the bottles, the balancing act, and the false alarm of a shower disaster. If you need more storage space, The Better Living Ulti-Mate Dispenser includes a soap tray, mirror, and hooks to store your razor. Back in May 2014 I wrote a list of places to donate furniture, fur coats, musical instruments, and more. I’ve since found additional donation alternatives that I’d like to share. These are mostly places that take harder-to-donate items. Others just caught my eye because their missions might appeal to some donors — and many of us find it easier to unclutter when we know our items are going to good new homes. Medical equipment: Donating lightly used items such as walkers and hospital beds used in home care can be a challenge. Med-Eq matches donors with charities that need what the donors are offering. You fill out a simple online form, and the staff at Med-Eq will choose a recipient. The receiving party covers any costs, such as mailing expenses for smaller items. (Larger items would be picked up.) My thanks to organizer Adonna Braly, who recently reminded me of this one. Diabetes supplies: Nicole Kofman and Kelly Close wrote about a number of places to donate these often-expensive items on the website diaTribe. While you’ll incur some expense in mailing these items off, you’ll have the reward of knowing you’ve helped someone in need. I learned about this from organizer Julie Bestry, so she gets a big thank-you, too. Wigs: EBeauty Community has a wig exchange program providing free wigs to women experiencing hair loss due to chemotherapy. Musical instruments: Although I’ve covered instruments before, I recently discovered another resource: Instruments in the Cloud, which allows donors to connect with local teachers who are looking for instruments. Postage stamps: You may want to sell these, but if you prefer to donate them the American Philatelic Society will gladly take them. The society says, “Most common material is used for youth and educational programs.” Those programs need several hundred pounds of stamps every year! Supplies such as glassine envelopes that are in good condition are welcome, too. Of course, you could also check with a local stamp club, if you have one. And some teachers might find these useful, too. Homemade blankets: Do you enjoy quilting, knitting or crocheting and wind up making more quilts or afghans than you, your family, and your friends can ever use? Project Linus will be glad to take them to give to seriously ill or traumatized children ages 0-18. Materials that can be used to make blankets can also be donated, if you want to reduce your stash. You can drop off donations with local chapters or mail them in. Thanks to quilter Louise Hornor for reminding me about Project Linus. Note: These must come from smoke-free environments for allergy reasons. Beanie Babies: Operation Gratitude sends care packages to deployed troops, and all those care packages include Beanie Babies or other small plush toys. Gently used ones are accepted. I have an abundance of clothes… 3 closets full of clothes plus a room full of clothing. I recently lost a lot of weight so it was easy to get rid of the larger-sized clothes but I have saved all of my smaller-sized clothing (20 years’ worth) that I love, fits me, and looks great on me. I know I can’t keep everything but I just don’t know what to get rid of and how to organize it better. Also, over 100 pairs of shoes… Crazy! I would welcome any input. I’m sure Olympia isn’t our only reader with an abundance of clothing especially since the clothing industry is designed to make us feel out of fashion within weeks. Here are some suggestions to reduce the quantity of clothing in your closets. First of all, read Erin’s post, Discover your style to keep clutter out of your closet. This will help you determine your preferred style. There is no point in keeping a dozen lacy, frilly blouses if you’re not a lacy, frilly person. Paying attention to the way clothes fit you is important too. Jeri discusses the importance of proper style and fit in her post, Managing your wardrobe: award shows vs. real life. What about your lifestyle? Has it changed in the past twenty years? Back then, I was a stay-at-home parent with two children under 5 years old. The clothes I was wearing at that time still fit me and look good on me but very few pieces suit my age or current lifestyle. If you’re having difficulty determining your style or evaluating fit, Erin’s post, Get rid of the clutter in your clothes closet has some great ideas to help you. You can look through photos of yourself and decide if the clothes really flatter you. You could ask a spouse or friend to toss any clothing of yours that he/she hates to see you wear. It might help to set a “past due” date on your clothes. For example, anything not worn in the past 24 months is automatically removed from your closets — no ifs, ands, or buts. To help you build a good wardrobe foundation, check out Erin’s post, Basic wardrobes can end clutter in the female closet. Gentleman, please refer to Basic wardrobes can end clutter in the male closet and an Organized wardrobe for men in their 40s. We’ve also answered a question about managing a wardrobe of many sizes and discussed the benefits of uniforms. One of the things that helped me simplify my wardrobe was living in a hotel for six weeks during our trans-Atlantic moves. I had two large suitcases in which to pack everything I would wear to carry out my normal day-to-day home and working life. Imagine if your employer sent you to work at another location across the country for two months. What would you take assuming you could not return home for anything or buy anything new? I’m sure our readers have some great ideas too so I welcome them to chime in with suggestions on how to pare down clothing.